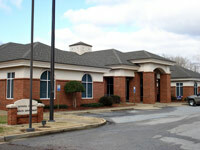 The Autauga County Health Department offers clinical, environmental, home health, and life care services to the public. Certified copies of birth and death certificates may be obtained from the health department. Contact us at (334) 361-3743. For more contact information, including addresses, phone numbers and email, visit Contact Us. The Autauga County Health Department conducted almost 2,000 home care visits in 2017. For details on this and other public health accomplishments and initiatives, see the 2017 Autauga County Health Department Annual Report. Home Health services are available for residents of Autauga, Chilton, Elmore, Lee, Macon and Montgomery counties. Visit Home Health for more information.